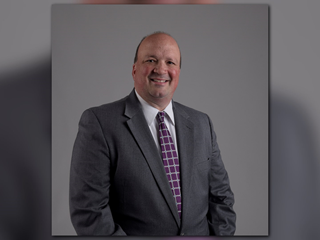 KNOX COUNTY – Knox County Commissioner and Knoxville Police Department Lieutenant Brad Anders announced his run for Knox County Mayor. Anders confirmed his intention Tuesday to run for the office of Knox County Mayor in 2018. He has filed his treasurer nomination form to begin collecting financial support. Anders was raised in the Holston community. He’s a graduate of Knox County Schools and Tusculum College. He was first elected to fill a partial term on Knox County Commission in 2008, and was re-elected in 2010 and 2016. He was elected Chairman of the Commission by his peers in 2013 and 2014. Anders started his career with the Knoxville Police Department in 1992 and currently serves is a Lieutenant, supervising the Special Crimes Unit in the Criminal Investigation Division. Anders and his wife Jennifer have been married for 18 years and have a daughter, Addison. The Anders reside in Karns and are members of Grace Baptist Church where they have both served in numerous leadership capacities. Current Knox County Mayor Tim Burchett is term-limited. Knox County At-large Commissioner Bob Thomas and Glenn Jacobs, also known as the professional wrestler Kane, are also running for Knox County mayor as Republicans.